An increasing number of people are discovering the joys of buying gemstones online. Quite a few of those are looking around on eBay as it is one of the largest marketplaces in the world. eBay is cheap, secure and the choice is virtually endless. So why are we telling you to stay away? The amount of sellers that are misrepresenting gemstones is staggering and quickly rising. What do we mean by misrepresenting? It means that gemstones are being sold as natural when in reality they are synthetic, a different (cheaper) gemstone or simply a pretty dyed rock or piece of glass. The sellers themselves may not be aware of the problem, but if they are there is just one word for what they are doing: fraud. For some good insider knowledge take a look at these posts by the user Swishman on the Gemology Online forums: here and here. Yes, there are honest sellers on eBay, but they are being drowned in a sea of sellers that either have no business in selling gemstones or are borderline fraudsters. It is increasingly difficult to compete when people are selling the ‘same? gemstones for a fraction of the price. Which is why many legitimate sellers have left eBay or felt forced to start bending the rules as well. We can hear you thinking ‘I bet I’m perfectly safe buying from a US/UK/CA/etc. seller’. Unfortunately that is not the case. A large number of these domestic sellers are in fact buying their gemstones from fraudulent sources and simply resell them for a profit. All without actually testing the gemstones to verify the claims of their supplier. So how do they get away with this? It is pretty simple actually, most people simply do not have the knowledge or means to test the gemstones they have bought. They receive an amazing looking gemstone or mineral for a bargain price and are happy with the great deal they got. They then leave feedback on eBay about how great the seller is and the outstanding products they received. So the next person that takes a look at the feedback of this seller will see something like ‘99.8% positive feedback? and thinks he’s dealing with an honest seller. Understandable as they are used to sellers on other parts of eBay where everyone can easily see if they got a good deal or a cheap knockoff that stops working within days. This is simply not the case for gemstones, the amount of treatments is staggering, synthetics are getting better by the day and altering a stone to represent a more expensive one is widespread. Why does eBay let this happen? Due to the low amount of negative feedback the problem does not show up on eBay’s radar. Though some people believe they just turn a blind eye because of the amount of money these ‘power sellers’ bring in. Still want to buy on eBay? If you still want to buy on eBay despite the high risk there are a few things you should be doing to lower your risk. Buy a cheap stone that the sellers claims is natural. Once it arrives test it thoroughly, if you cannot test it yourself have it tested by a professional. If it checks out slowly increase the business you do with the seller. Keep testing though, especially if you are reselling these stones. You are fully responsible for any unintentional fraud! The old adage ‘If it’s too good to be true, it often is? still holds true. Check the wholesale price of rough material and know that roughly 70-80% of the material is lost when faceting or polishing gemstones. 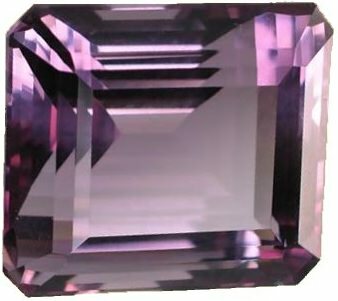 If you see a 3 carat amethyst‘it means that between 10-15 carat of rough material was needed. If the wholesale price of the rough material is far higher than what the cut amethyst is selling for, you can be pretty sure something is not right. Especially when they are selling a large number of these gemstones. Nobody in their right mind is going to go to the trouble of cutting a gemstone when they could be selling the rough material and make more profit. Never buy an expensive stone without a proper grading report by a renowned institute. For example: GIA, AGS, IGI, EGL and IGL. You should never trust an in-house grading report and you should be very careful when dealing with an unknown grader. What it comes down to is that you need to have an extensive background in gemology to get a good deal on eBay, without being ripped off left and right. If you don’t have this background we urge you to stay away from eBay. Unless you simply want a great looking gemstone and you don’t care about how it got that way (or that you might receive a piece of colored glass or a dyed rock instead). If you have any experience with buying on eBay please leave a comment below. Both positive and negative experiences are welcome! Sellers receive discounts for high ratings. Buyers are pressured to leave high ratings. Many sellers insist nothing less than a five star rating is acceptable. I have been bribed with gifts and refunds from fraudulant sellers to insure they receive their five star rating. I was new to buying gemstones on Ebay—fortunately didnt invest alot of money but got burned by ALL of them except two chinese suppliers who sell only stones with no metals. It was a joke so I went back to making and selling my own pottery jewelry. The fraud was STAGGERING……everything from fake sterling to acrylic STONES….only about one third of everything I ordered was actually a gemstone. Some of it was actually impressive as costume jewelry but I would have died if I had tried to pass these on as genuine to my clients. The only safe buy for jewelry on Ebay is costume jewelry, as far as I’m concerned. Those people were totally honest about alloys, etc. and the products all came in great and quite good…not one flaw that I could see and very re-sellable. We just replied to your e-mail, but here is the answer so other people can see it as well. It is very unlikely (impossible) for the earrings to be gold-filled and also contain a real ruby/emerald. A natural ruby or emerald, even low quality fracture-filled ones, will sell for $10-20+, unless they are incredibly tiny. Add in the cost of the gold filling, the design, the manufacturing and the free shipping and there is just no way they can be sold for $15. Our guess is that the earrings contain little to no gold and that the rubies and emeralds are fake (plastic or glass). We advise you to stay away from this seller. I have bought several diamonds on ebay and they were real and got them in a bid for a very good price. They all were tested and were diamonds. is this private i really dont like giving my email out. but i also been buying gemstones and i also purchased a gemstone buying guide which helped me obtain some the info on fake stones. i also wish if some one has a honest dealer i sure wish you would share the name. Wow. I bought a 20.45CT blood red Ruby, great color, cut, and as clear as fresh water from Thailand. on ebay for just $0.99 with free shipping. The seller is also going to throw in a 15.00CT cut untreated natural Emerald from Colombia for $30.00 with free shipping too. We’re sorry to say that this is a prime example of an eBay scam. These gemstones would sell for hundreds of thousands of dollars each and possibly far more. It is highly unlikely you will get anything better than a piece of colored quartz for that price. Can sellers on eBay.com sell a stone with a faults GIA appraisal?? and if so should you contact the company?? Hi, I buy a large number of jewellery items on eBay from my Supplier in Hong Kong, who offers a cert of authenticity. AMETHYSTs, citrine, RUBIES, TOPAZ, all set in 9ct GOLD. Gold has passed magnet test, but now unsure about GEMSTONES. I assumed it may be part of Chinese pirate ring, but never occurred to me that STONES maybe synthetic, or even glass,, as they described as natural stones. As an ebay Power Seller he has over 13,000 happy Customers, with only 2 negatives comments, all regarding breakage, or other quality issues. Not misleading descriptions….Surely, one person would have checked authenticity of items…. What about shopping channel ShopLC? They are selling gems by incredible prices. They said they don’t use middleman and they make their own Jewerly. Also JTV. And a company named Etsy. I see a lot of snobbery online re ebay gems. Having bought for years, here are some thoughts I have not seen expressed. 1. I enjoy lower grade stones. 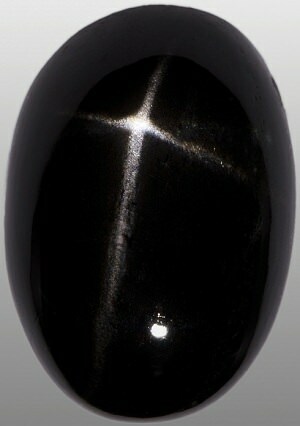 They are unique and individual, whereas a perfect clear stone is boring and looks like any other. 2. Lots of garnets are real. God made so much garnet why fake it? 3. Fluorite is easy to identify, and again, a lot is available. Mexican fire opals, kyanite, and tourmalines are usually real. 4. I love rubies, would never afford a perfect clear one, and am happy to buy a cheap glass-filled as long as it is identified as such. 5. Yes, of course cheap giant clear stones are fake, goes without saying.You can get good deals on ebay if you know your rocks. Folks need to lighten up and don’t be such snobs. Not everyone can buy thousand dollar rocks.